I just wanted to take the time and send you and the Plantation Woman’s Club a BIG THANK YOU for participating in our Trunk or Treat Event. Ms. Rodriguez’s trunk was great and received many compliments throughout the night. We had close to 1000 people turnout for this event, it was a total success. 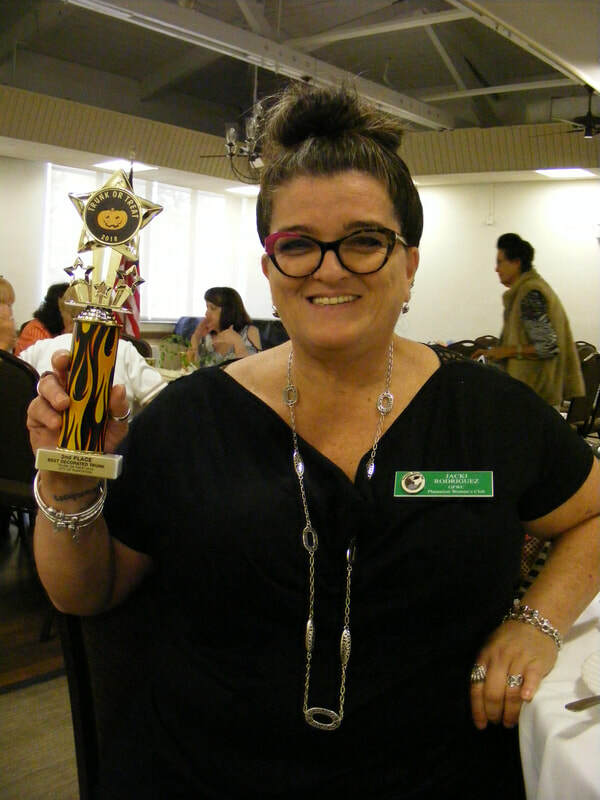 Thank you and the Woman’s Club again for all your support. We look forward to working with you and the club again in the future. 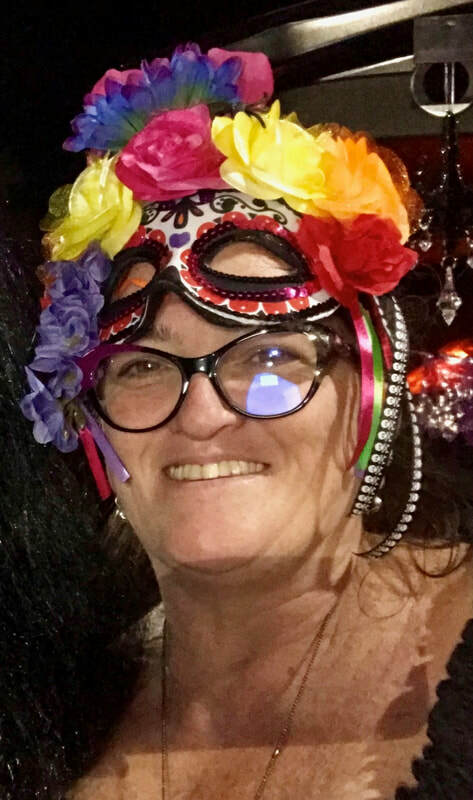 A very BIG THANK YOU to Jacki Rodriguez for chairing our first Trunk or Treat entry for our Club at the Plantation Community Center on October 31st from 6 to 8 PM. 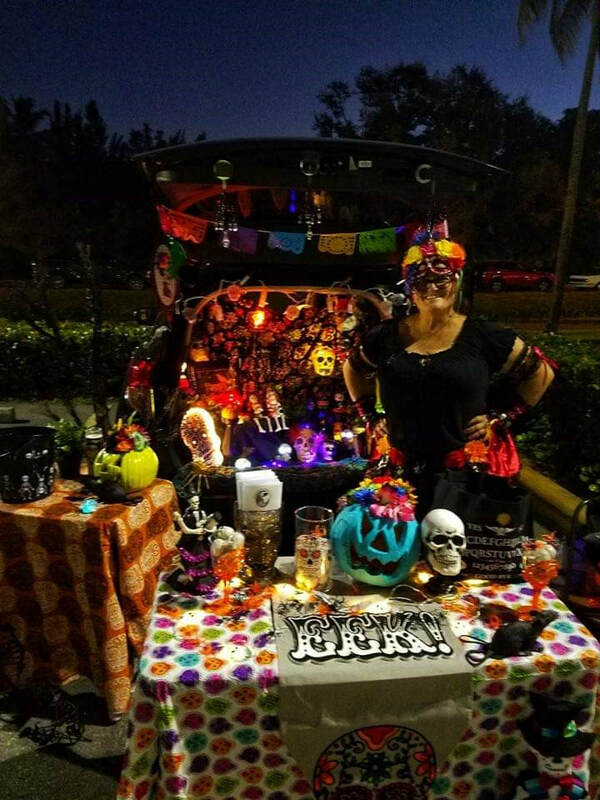 Jacki decorated her car trunk with all sorts of spine-chilling motifs that were eerily captured in the evening photo. The hundreds of children attending had lots of fun with games, movies and holiday treats.